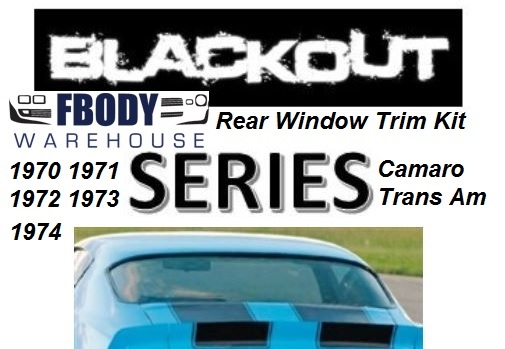 This is a 5 pc set of rear window trim for 1970 - 1974 Camaro Firebird Trans Am Factory set in satin black for a custom "Blacked out" look! 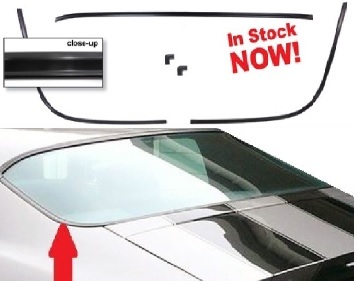 This new BLACK ANODIZED Camaro Rear Window Molding Set is *IN STOCK NOW! 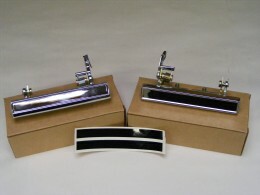 New BLACK ANODIZED Camaro / Firebird / Trans Am Rear Window Back Glass Molding Trim Set for 1970 1971 1972 1973 1974 models. A perfect match for our new Black Front Windshield Moldings Kit MCI-66. This new black anodized set is a made from high grade materials and then anodized for a long lasting great finish. The new Muscle Car Industries Blackout Series will set your ride apart.